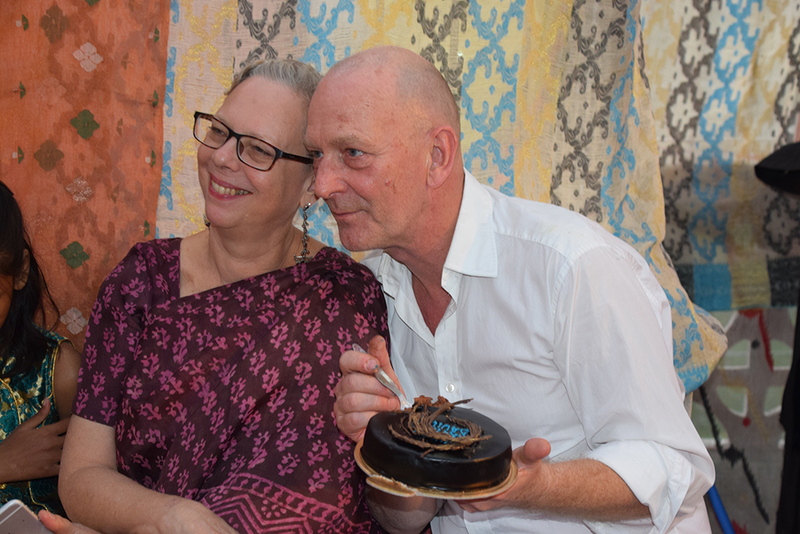 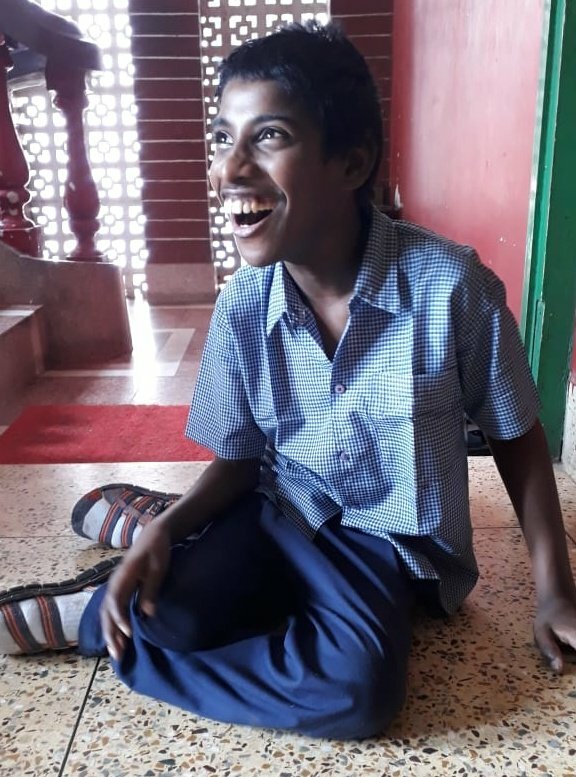 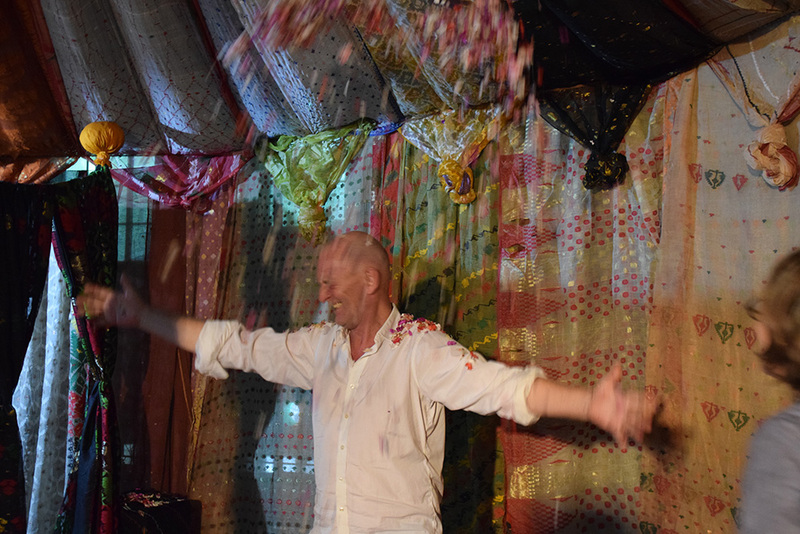 Shuktara’s founder David Earp turned 60 on 20th January and of course there was a fabulous party on the roof of Anna Bari. 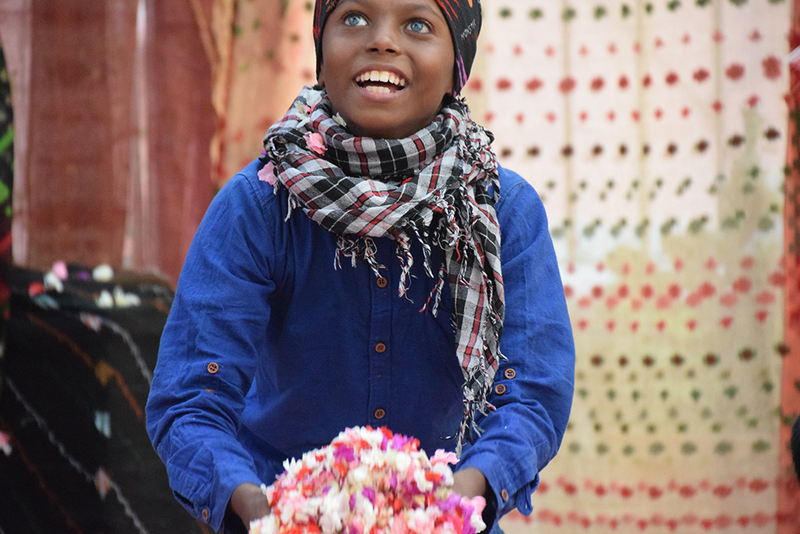 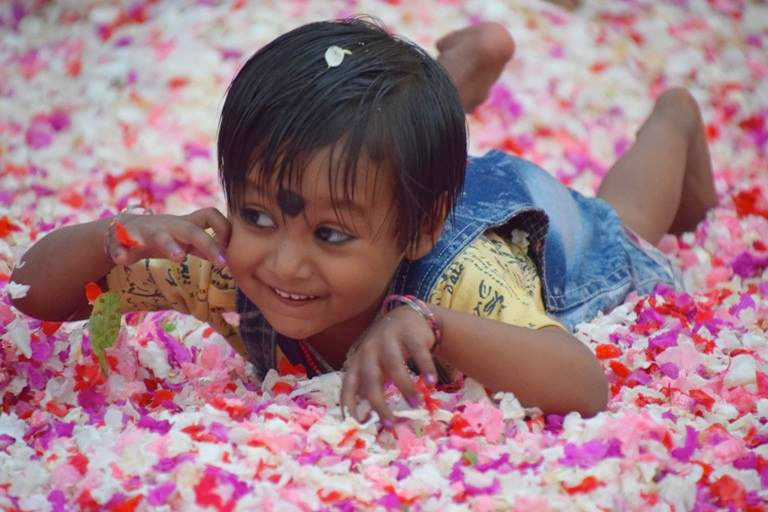 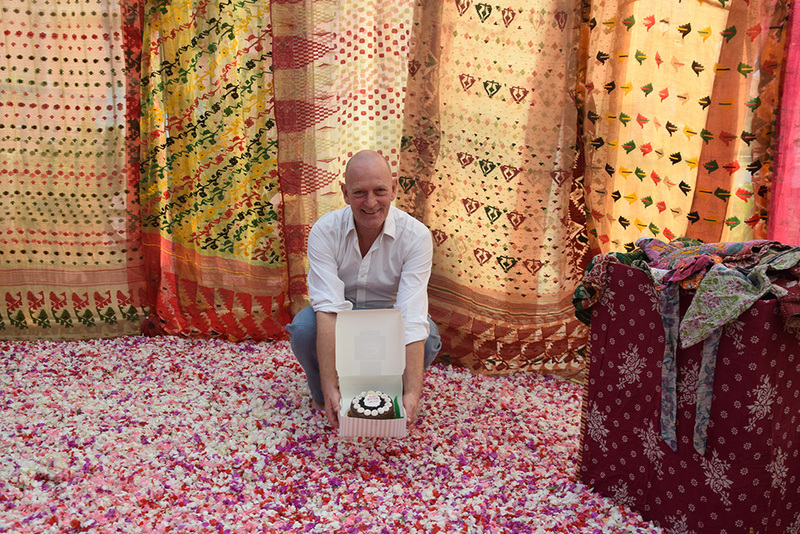 Decorating and styling for the event culminated in a tent of sheer vintage jamdani saris in a rainbow of colours, a jasmine throne (the second in what is sure to become a shuktara trend) and a carpet of literally thousands of multicolored rose petals. 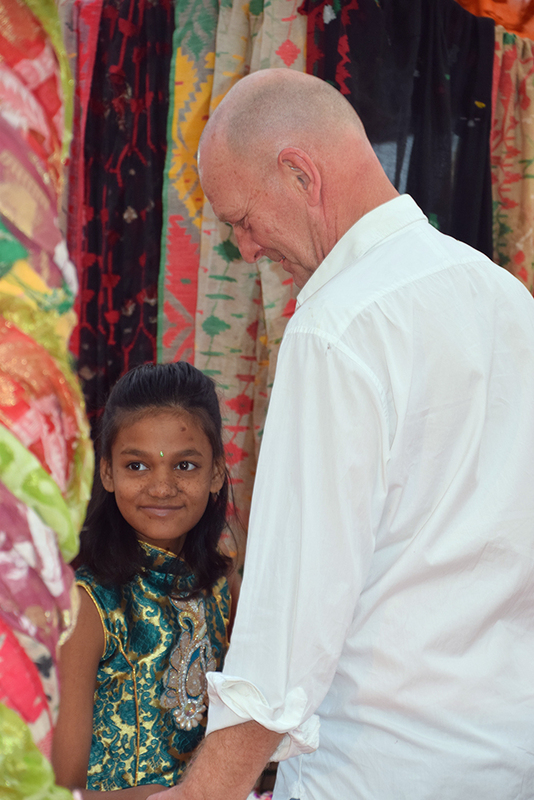 All of shuktara’s young people and staff dressed up in their best outfits for this fantastic event. 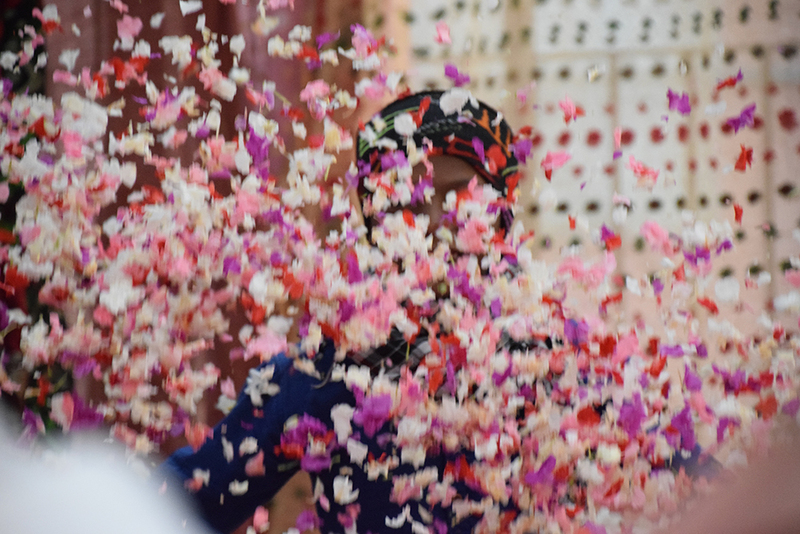 Sanjay and Raja were there with their wives and daughters. 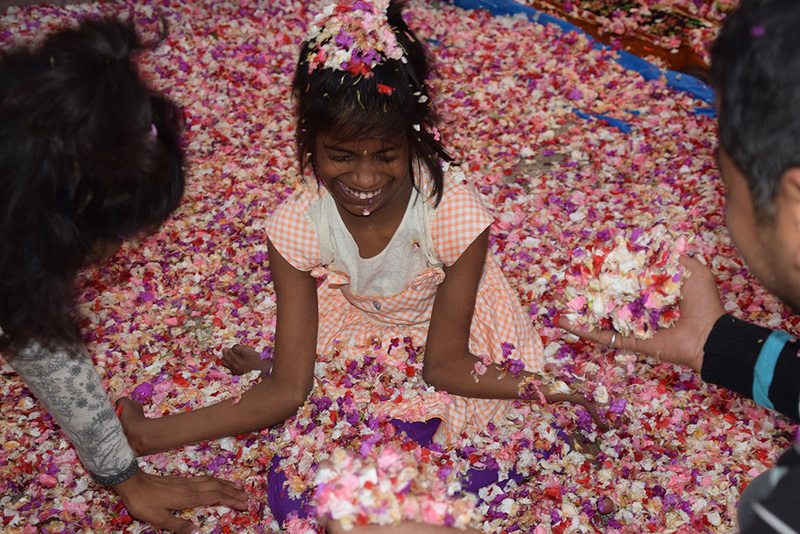 The children loved throwing handfuls of rose petals and watching them float back down. 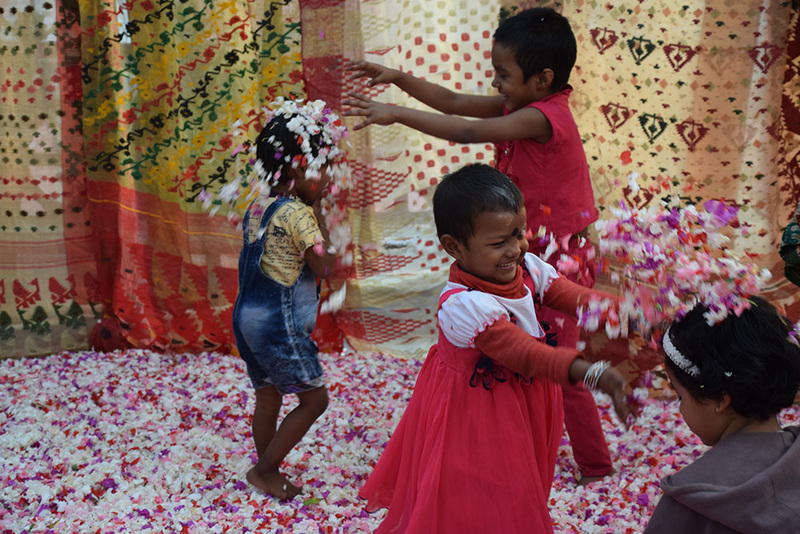 To be honest the adults found the cascading rose petals almost as exciting as the children. 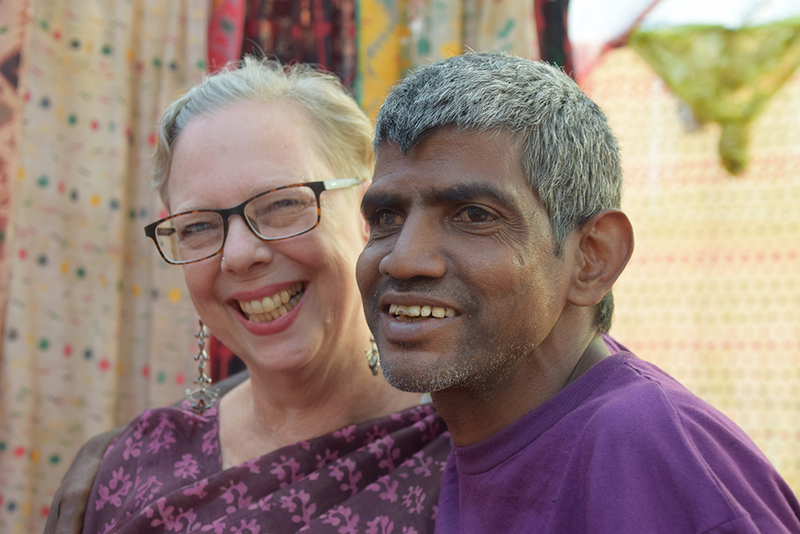 Although it’s difficult to keep a secret in Kolkata the arrival of Alison Saracena and Christi Lane-Barlow (who came from Laos to join in the celebration) was a complete surprise to David. 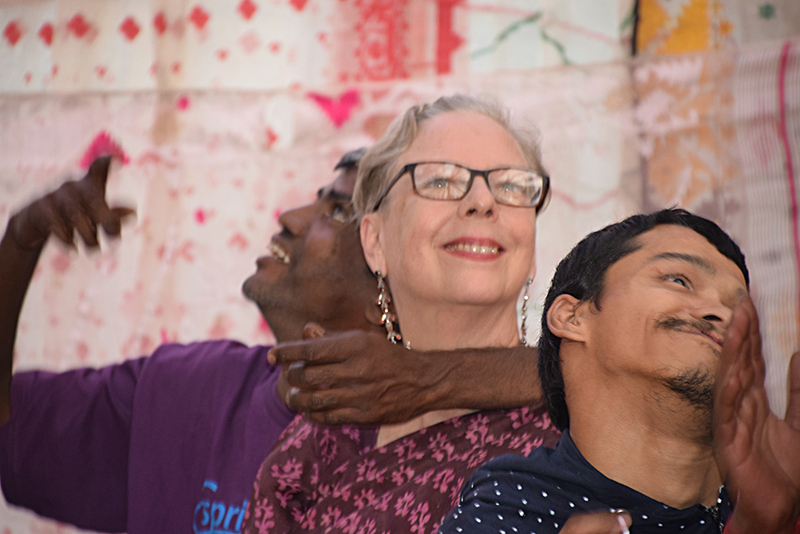 Friends of David and shuktara: Emma Christmas, Caroline de Penning, Maura Hurley and Kelly Dwyer also joined everyone on the roof for the festivities. 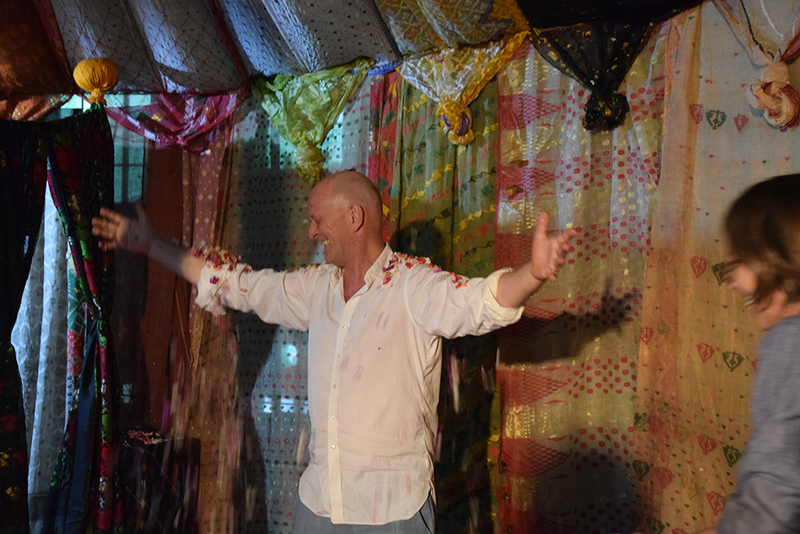 Judging from the photos we can truly say that this was a once-in-a-lifetime event and everyone who attended enjoyed this very enchanting evening to celebrate David’s 60th birthday.